New Page Books, 9781564148162, 224pp. 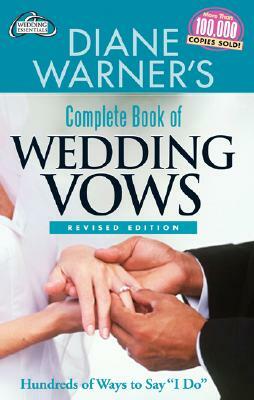 Diane Warner is the best-selling author of 22 books, including Diane Warner's Contemporary Guide to Wedding Etiquette, Complete Book of Wedding Toasts, Complete Book of Wedding Showers, Complete Book of Baby Showers, Diane Warner's Big Book of Parties and How to Have a Big Wedding on a Small Budget. Diane also writes for magazines, newspapers and Web sites. She is a popular speaker and radio and television guest. She has made over 100 national radio and television appearances and can be seen regularly on HGTV and The Discovery Channel. She lives in Tucson, Arizona with her author-husband, Jack.